Join us on the first day of summer on our outdoor deck and Royal Palm room. Live music and buffet $50 per person. 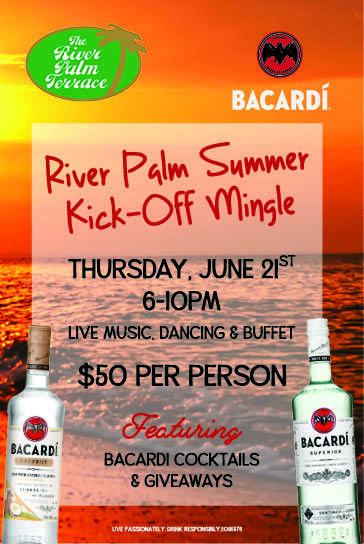 We will launch our new summer cocktails featuring Bacardi along with our normal ‘Ladies Night’ $5 specials.